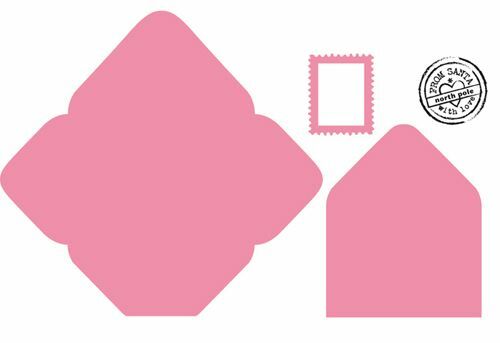 This die cuttingand stamping set from Marianne Design Collectables range includes three separate cutting dies, an envelope, an envelope lining and a postage stamp. Also included is a round, postmark clear stamp with the words "From Santa, North Pole, With Love". Use it with the postmark stamp to create 'Santa letters' or use it year round without the stamp to make cute envelopes, either plain or with co-ordinating lining. Suitable for use with most major brands of die cutting machine.